Home / Christian News / Former Muslim Nabeel Qureshi Prayed for God to Kill Him After Converting to Christianity. 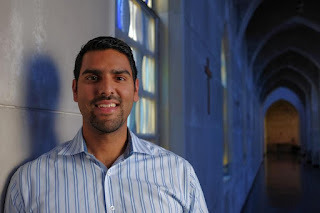 Former Muslim Nabeel Qureshi Prayed for God to Kill Him After Converting to Christianity. 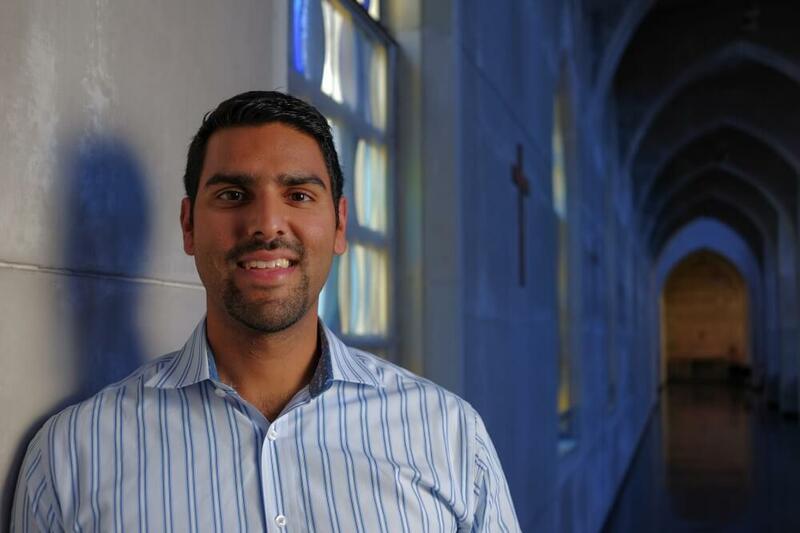 Prominent Muslim-turned-Christian Nabeel Qureshi revealed to thousands of Christians gathered on the National Mall last Saturday afternoon that giving up Islam and accepting Jesus Christ was "the most painful thing" he ever did because it cost him nearly everything. Qureshi, the author of books such as Seeking Allah, Finding Jesus: A Devout Muslim Encounters Christianity and Answering Jihad: A Better Way Forward, was given a few brief minutes on stage to address the massive crowd of believers gathered in the nation's capital for Together 2016. "Eleven years ago, I made the most difficult decision in my life and the greatest decision in my life," Qureshi explained. "A friend of mine had reached out to me with the gospel. I was a college student — a freshman. I was very happy with my faith. I was a Muslim and I was a proud Muslim. I loved Islam. I was not a likely convert. I was not looking for love. I was not looking for help. "Even though Qureshi told his friend that he was happy with his Muslim faith, his friend persisted. "I argued with him. I debated, I challenged him," Qureshi said. "I said, 'The Bible is not reliable.' I said, 'The Trinity doesn't make sense.' We argued about this. But four years later, what I realized is that the Christian message was true." But what exactly is the Christian message, Qureshi asked. "I want you to hear me on this. The only thing that gives meaning and purpose to this world is the Creator. If God did not exist, your life would be meaningless," Qureshi, a global speaker with Ravi Zacharias International Ministries, answered. "You would be carbon that happens to evolve pointlessly and you will die and all your friends and family will die and this world will end and that's it – completely meaningless," he added. "But if God does exists, that means your life has purpose. That means you have been crafted and created for a reason here on this Earth." As a Muslim born to Pakistani immigrant parents in the United States, Qureshi's conversion to Christianity did not go over too well with his Ahmadi Muslim parents and his Muslim friends. "When I became a Christian, it was the most painful thing I ever did. I wanted to die," Qureshi detailed. "I asked God to kill me because I lost my family. I lost my friends in the mosque. I lost all the people who loved me the moment I became Christian." In asking God to kill him, Qureshi said he discovered the true definition of what it means to be a follower of Christ. "I said, 'God, why won't You kill me?'" Qureshi recalled. "His response was, 'Because this wasn't about you, it's about Me.'" "There are billions of people alive in the world today who need to hear the gospel," Qureshi continued. "If you are a Christian, it means you are going to live for eternity. It means that you are taken care of. If you trust in what Jesus did on the cross for you, you will be fine forever. But your neighbor who does not know Christ, his needs or her needs are infinitely greater than yours." As terror-inspired violence seems to be occurring on a weekly, if not daily basis, around the globe, Qureshi concluded by calling on Christians to become "world changers." "We see what is happening in the world today. We see bombings in Turkey airport. We see shootings in Orlando. We see people killing mindlessly across the world. God has a plan to heal this world," Qureshi stressed. "It can only happen through His hands and His feet and that is us. That's why you are alive. To share this message and transform this world by the Holy Spirit living inside you."